Natural burlap is a 100% jute fabric that can be used for craft and home decorating projects like tote bags and window treatments as well as for gardening purposes like weather protection for trees and shrubs. Burlap should be hand washed with cold water and a small amount of gentle detergent. Do not leave in water to soak. Rinse the fabric well and leave it to dry flat between two towels. For more information on natural burlap and other types of burlap, see our Burlap Fabric Product Guide. Also check out our tips for sewing with burlap. We also carry an assortment of burlap bags. Natural burlap comes in different weights, the higher the weight the tighter the weave. There’s a hydrocarbon free option which is made with vegetable oil instead of mineral oil so it doesn’t have the kerosene-like scent of most burlap. You can also find natural burlap that is flame retardant. Burlap fabric has an array of uses both practical and decorative. Of it’s many uses, perhaps the most popular is for wedding décor. 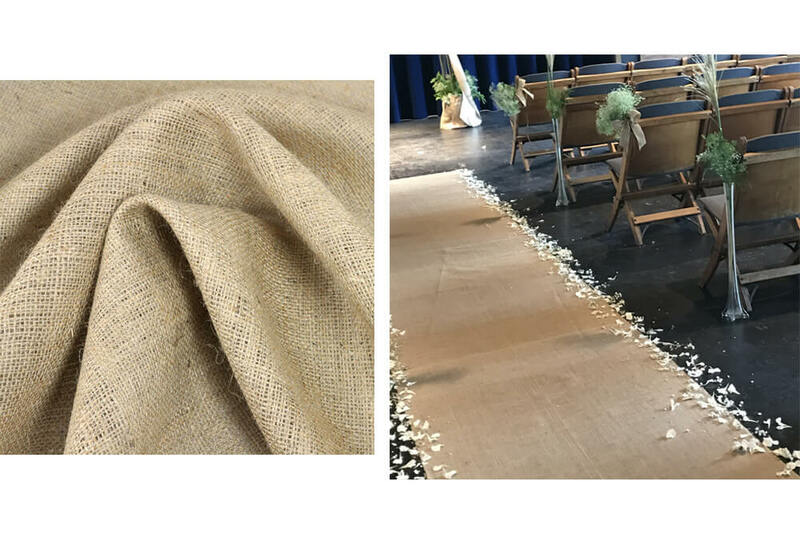 Natural burlap is perhaps less common in wedding decorations because shalimar and sultana burlap are more refined. That doesn’t mean it can’t be used however. 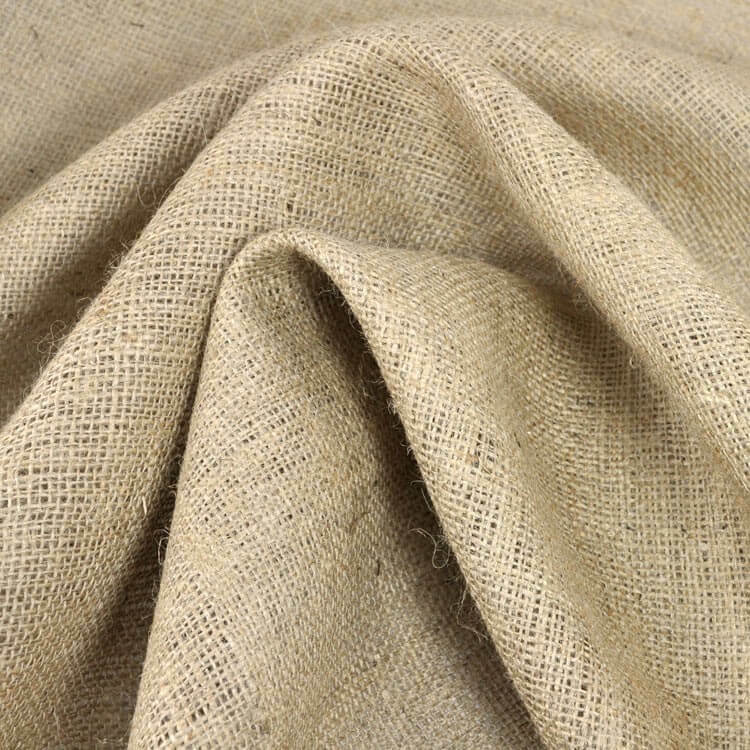 Click here to shop natural burlap fabric.